Buying a home is a tricky business, and aligning all the different factors can pose a logistical nightmare. You’ll want to get your mortgage advice, deal, lender and agreement decided as soon as possible so you can act fast. We look at how long it takes to get a mortgage and what you need to consider. How long will a mortgage take? It’s possible to apply for a mortgage Agreement in Principle, which states what a lender is likely to lend you based on some information online or over the phone in a couple of hours. It involves you providing some basic information about your finances and a credit check, but it’s not a 100% guarantee you’ll get the full mortgage until all the paperwork has been done at a later stage. The lender will then want to conduct a mortgage valuation survey (not to be confused with a building survey) of the property you want to buy. Depending on how busy their surveyors are this can take a few days or more than a week. If the lender is happy with your personal financial situation, and the outcome of the valuation survey, they will offer you a mortgage. A mortgage broker can help speed up the process, because they are already familiar with the mortgage products on the market, including the specific criteria each lender looks for. This can considerably cut back on the time you’ll spend doing your own research and having to make appointments with or speak to individual lenders directly. You can help speed up your mortgage application by having all the documents you’ll need handy and sending them through as soon as possible. It’s also a good idea – but not a stipulation – to make a list of all your financial outgoings as well as your income because your broker/lender will want to know that you’ll find the mortgage affordable. 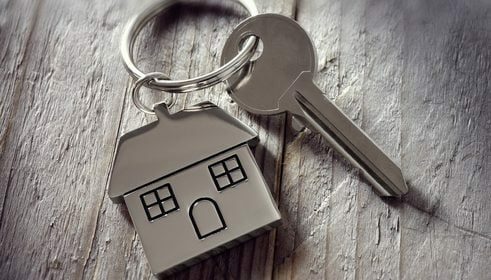 You’ll find a standard mortgage offer is typically valid for up to six months, whereas a re-mortgage is usually valid for three months (although it can also be six months). The difference is down to the fact that a purchase will typically take longer from application to completion. Some lenders have a completion deadline instead of a time limit. If you go past this you can still use that lender for a mortgage but your criteria will be re-assessed so you’ll be starting from scratch again. If your circumstances have altered you may be offered a new deal.